Weird in a good way. Nothing beats Texas for a truly authentic Southern experience and Austin, the Lone Star state’s capital, shows off what it’s all about. A city of less than 900,000 people, it’s got that small town feeling – friendly people and a relaxed vibe – and despite its rapid growth and recognition as one of the USA’s hottest music and food destinations, it’s kept the unique and quirky style it’s become known for. Eye-catching flashing neon signs inspired by the American roadhouse add a retro flair to the city’s shops while hipsters in vintage and cowboy hat-toting Texans mingle on street corners. 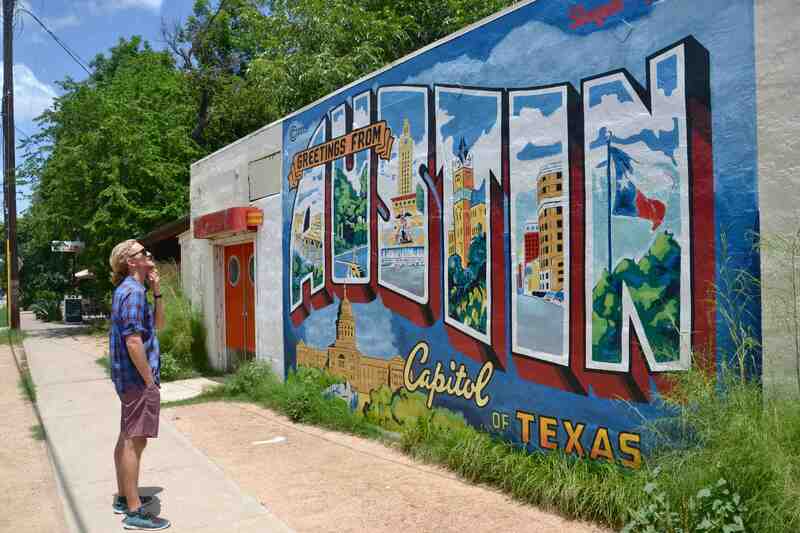 There’s a reason the city’s slogan is ‘Keep Austin Weird’ – weird in a good way – and here’s what you shouldn’t miss. 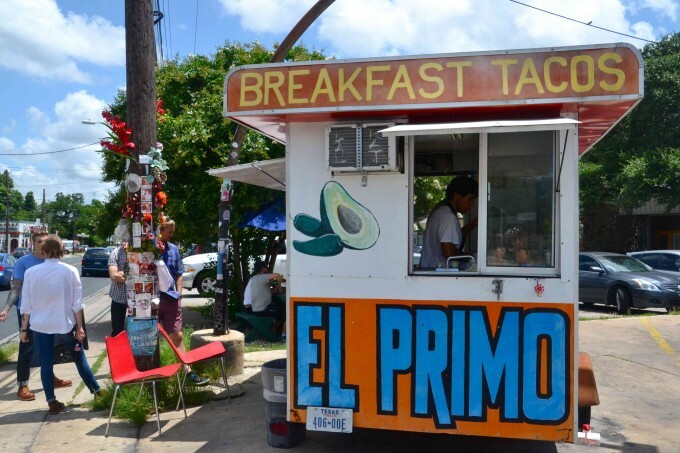 Food in Austin almost always means food vans, as the streets of this quirky city are literally lined with them. You’ll find everything from vegetarian and Vietnamese to typically southern style heart attack-inducing treats. 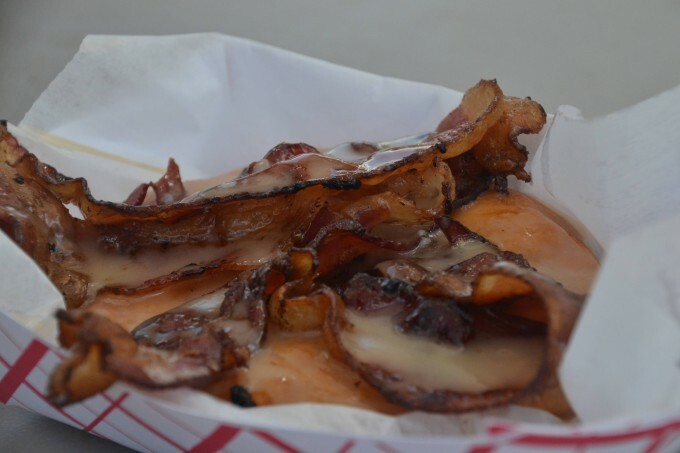 You’ll find fried chicken and biscuits, chocolate chip and pretzel pies, maple glazed bacon donuts (Gourdoughs on South 1st Street are insane) as well as Mexican-influenced Tex Mex restaurants – the best nachos, burritos, enchiladas and margaritas you’re likely to come across. 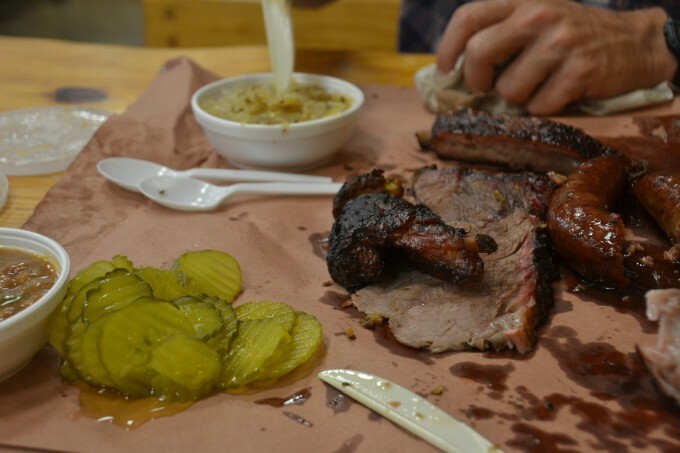 But the must-eat meal when it comes to Texas is, of course, barbecue. Think 12-hour slow cooked ribs seasoned to perfection, served with a side of smoky beans or mac and cheese and washed down with an iced tea or a prickly pear cactus beer. In Austin, head to Franklin BBQ if you can stand the line or else head slightly south to Texas’ barbecue capital, Lockhart, and hit up Kreuz Market. But before you wet your appetite, it’s wise to remember the old adage – everything’s bigger in Texas. Set in 30-year-old weatherboard houses, out-of-the-way brick bars around South Congress and huge dancehalls just outside of the city, these stages and two-step bars are the place to experience the South’s new live music capital. Easy going liquor licensing laws mean opening up a bar in your front yard is totally cool in Austin, and that’s exactly what you’ll find on Rainey Street. This historical district is full of bungalow-style homes that have been transformed into hipper-than-hip bars and live music venues. For a more authentic Texan experience, head to Gruene Hall, a cowboy and western dance warehouse that’s been pumping since 1878. Think tin roofs, screen doors and dancing. Then, if you’re keen on a big one, venture out to Sixth Street (known as the Dirty Sixth) and club-hop till the wee hours. His name is Cowboy and he makes knives. Big ones. Sweaty brow and bronzed shoulders, he works in the sweltering heat of his metal shop just outside of Austin. He makes custom pieces for his knife-loving statesmen with handles made from armadillo, bone and animal horns. In fact, he’s just finished making one for his missus. Texas. It’s a state full of people so close to what you’ve imagined, so movie set-perfect, so clichéd and quintessentially Texan, you can’t help but fall for the gritty romance of it all. There’s the custom cowboy boot maker who learned his craft in the penitentiary (Texas Custom Boots on South 1st Street), the little old lady with a Southern drawl who sells her homemade candied jalapenos and Texan flag tea towels from her knick-knack store, and the man with a toothpick hanging from his mouth selling his award winning watermelons from the side of the road. You’ll likely meet an oil tycoon and a longhorn rancher in the same day as a Texan beauty queen and an authentic blues musician. And that’s all within an hour of arriving in Austin. You can tell by the caliber of quirky and vintage fashion donned by locals walking around the streets of Austin that this city is a rad place to go shopping. You could spend an entire day walking up and down South 1st Street and South Congress hitting up the vintage stores, cool clothing and jewellery boutiques, eccentric kick knack stores, record stores, book stores, and unusual art galleries – not to mention the great street art and graffiti on every block. For your perusing pleasure, don’t miss Feathers Boutique, Uncommon Objects, Road House Relics, and Waterloo Records. Wash away the food and drink by heading down to Barton Springs, a warm spring-fed river of restorative jade-coloured water flowing right through the city centre, and joining in with the locals swimming, paddle boarding and kayak in their lunch break. Or, venture out of the city and explore the beautiful surrounds and small towns of the Texan countryside. Out here long-horn cattle line the ranch fences while fields of blue wildflowers scatter themselves over rolling hills during the spring. If you’re lucky, you’ll see an armadillo snuffing its way through the cacti during one of west Texas’ famed fiery sunsets. Also, for a truly authentic experience, nothing beats a small town rodeo. Drive south of Austin to Lulling for the annual watermelon festival – complete with seed spitting competition – and their three day rodeo which pits the state’s best bull and bucking bronco riders against one another for a hooting and hollering good time. When all is said and done, you’ll likely have a Southern twang in your declaration that, ‘Boy howdy, do I love Texas’. You can now fly with ease to Texas – Check out Qantas direct flights to Dallas here.